Domestic workers rejoiced on Friday, Aug. 12th after Governor Bruce Rauner signed House Bill 1288 into law granting Illinois domestic workers the same protections as other workers, such as equal treatment, fair wages, sexual harassment, and a day of rest for workers employed for at least 20 hours a week. The Fair Labor Standards Act excluded domestic workers, majority of whom were women of color and immigrant women. Home cleaners, nannies, and care workers all celebrated the five-year campaign led by the Illinois Domestic Workers Coalition culminating in HB 1288 becoming state law. HB 1288, the Domestic Workers’ Bill of Rights was sponsored by Representative Elizabeth Hernandez. HB 1288 amends the following Acts that previously excluded household employees: The Illinois Human Rights Act, The Illinois Minimum Wage Act, The One Day Rest in Seven Act, and The Wages of Women and Minors Act. 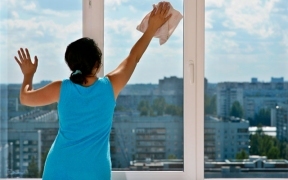 The definition of domestic workers includes employees that perform duties that encompass: housekeeping, caregiving, nanny, chauffer, and home management services. “Finally, some of the hardest working people in the state will receive the dignity and respect they deserve of their work environment. Domestic workers are important in today’s economy but are often exploited because of the lack of protections making it difficult to support their own families. I’m proud that Illinois moved forward in a bipartisan effort to ensure domestic workers—those who care for the elderly, the disabled, and our homes will receive no less than minimum wage, receive at least one day off a week and have protection against sexual harassment,” states Rep. Hernandez.